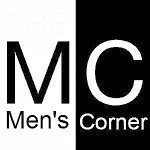 Men's Corner: The Burn all bras continues!!! We still do not give up, still do not want to give up. We are ready to protest every day, bother, crush and pray for our beliefs and attitudes. We think that a beautiful female body should not hide and cover! We believe that all butts must be free, and all breast unbridled! Without solid bodice, unpleasant cold wire and other evil invention that have been invented to limit those beautiful breasts. Be free! Burn all bras and let them be free!! !